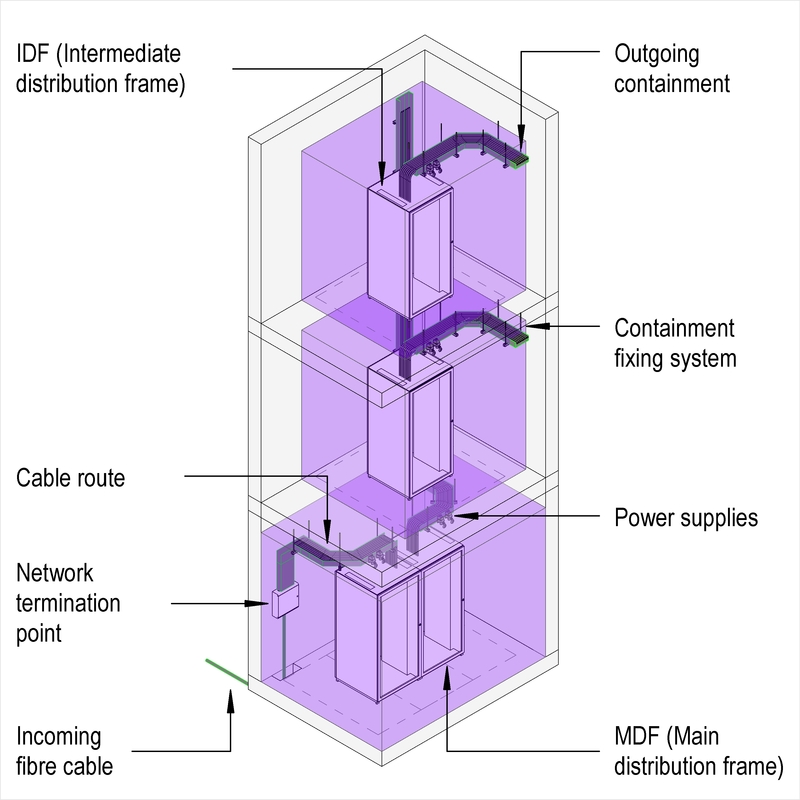 A data distribution system typically comprises of items such as applications, cabling hierarchy and cabling topology. Complete this electronic spreadsheet to ensure that your Data distribution systems product information meets the requirements of Level 2 BIM. This is important as it will enable your customers to select, specify and use your products within the BIM environment. Once you have completed this template you can host it on your own website or distribute it to your customers. Please note that we do not host completed product data templates within the BIM Toolkit. 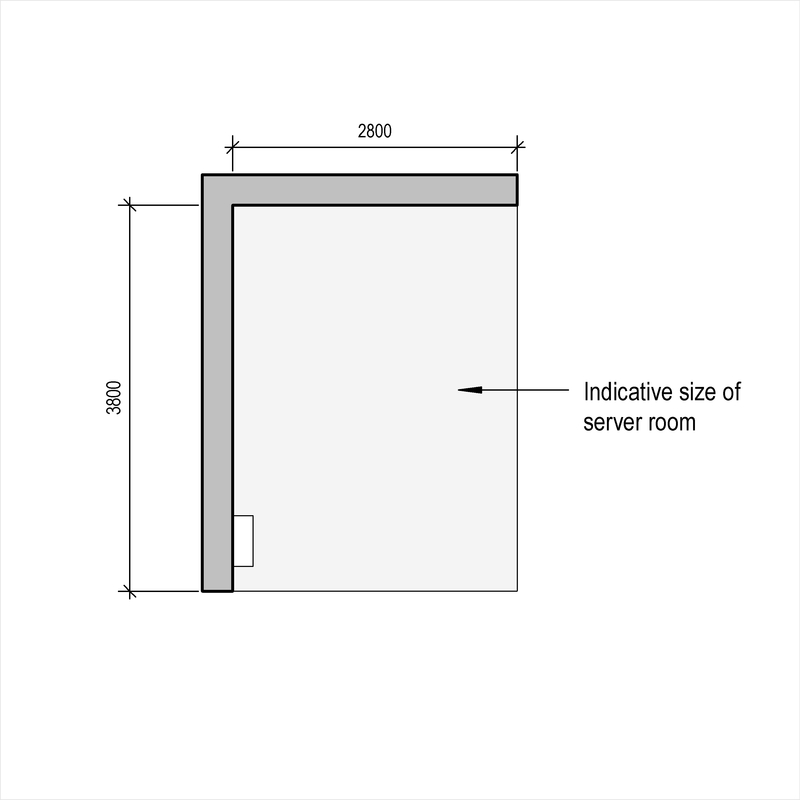 The above illustrations are for Data distribution systems from the NBS section Data distribution systems. This is indicative of the LOD requirements for Data distribution systems. 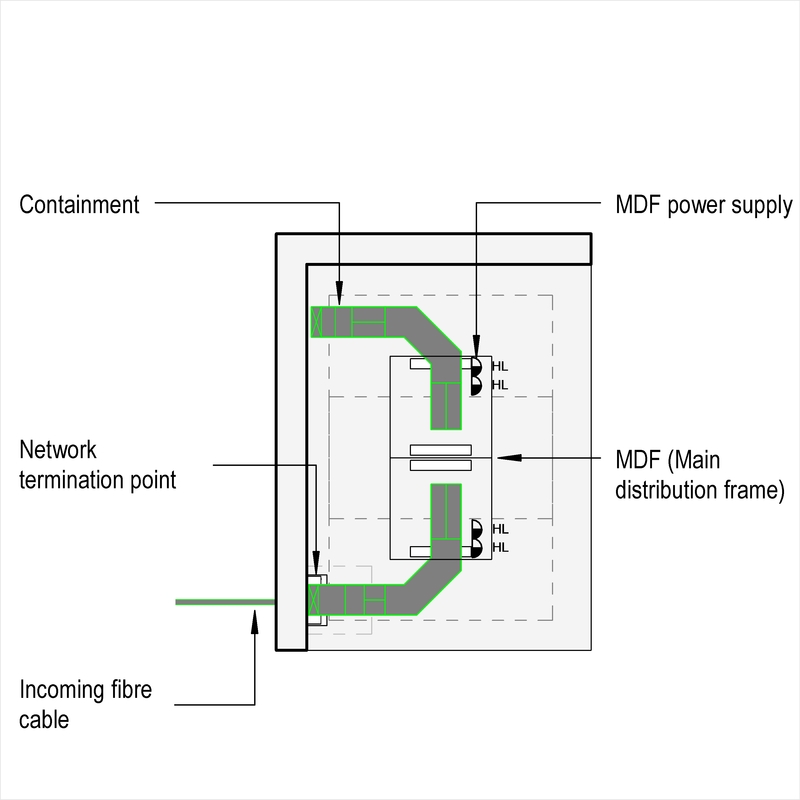 Design of data distribution systems Design, Standards and Cabling topology. 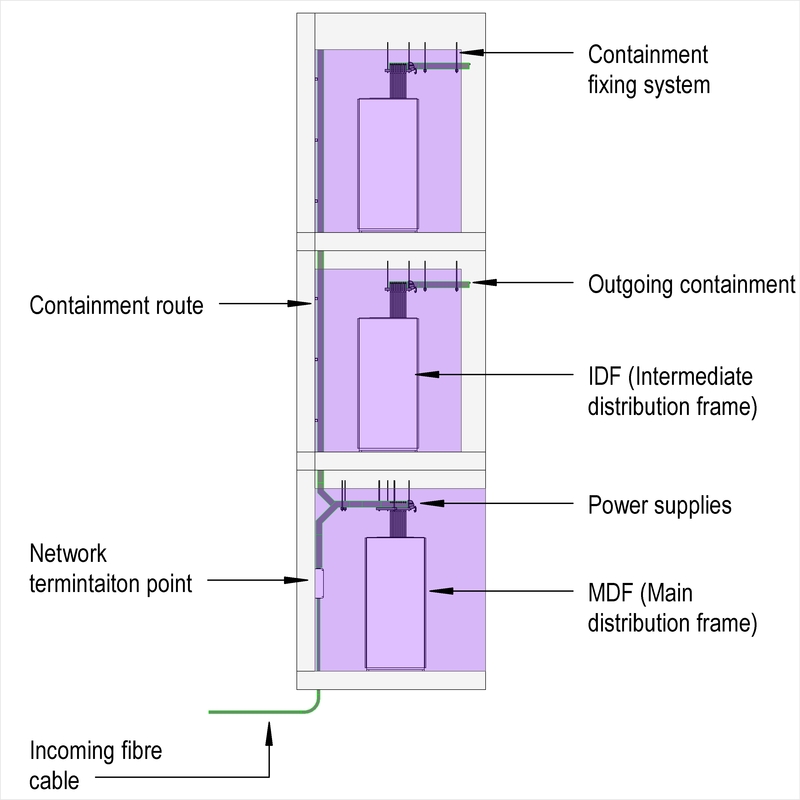 Channel performance Standard and Balanced twisted-pair cabling class (minimum). Connections with other systems Requirements. Applications The Applications of the Data distribution systems. Cabling hierarchy - Campus distributors (CD) Products such as Balanced twisted-pair cabling patch panels. 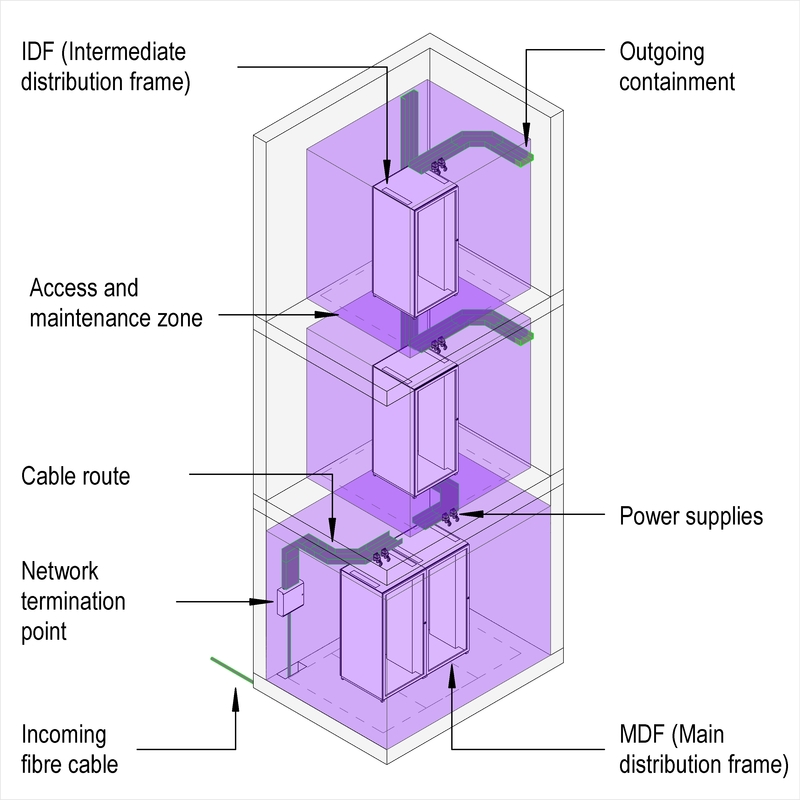 Cabling hierarchy - Campus backbone cabling Products such as Optical fibre cables. Cabling hierarchy - Building distributors (BD) Products such as Balanced twisted-pair cabling patch panels. Cabling hierarchy - Building backbone cabling Products such as Balanced twisted-pair cables. Cabling hierarchy - Subsidiary distributors Products such as Balanced twisted-pair cabling patch panels. 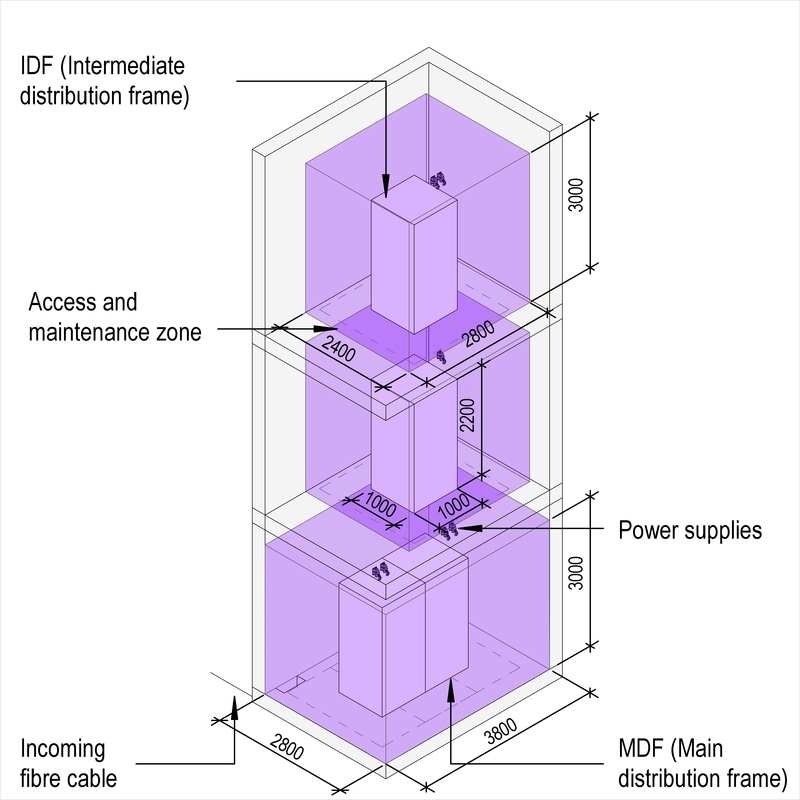 Cabling hierarchy - Horizontal cabling Products such as Balanced twisted-pair cables. Cabling hierarchy - Consolidation points (CP) Products such as Balanced twisted-pair cabling patch panels. 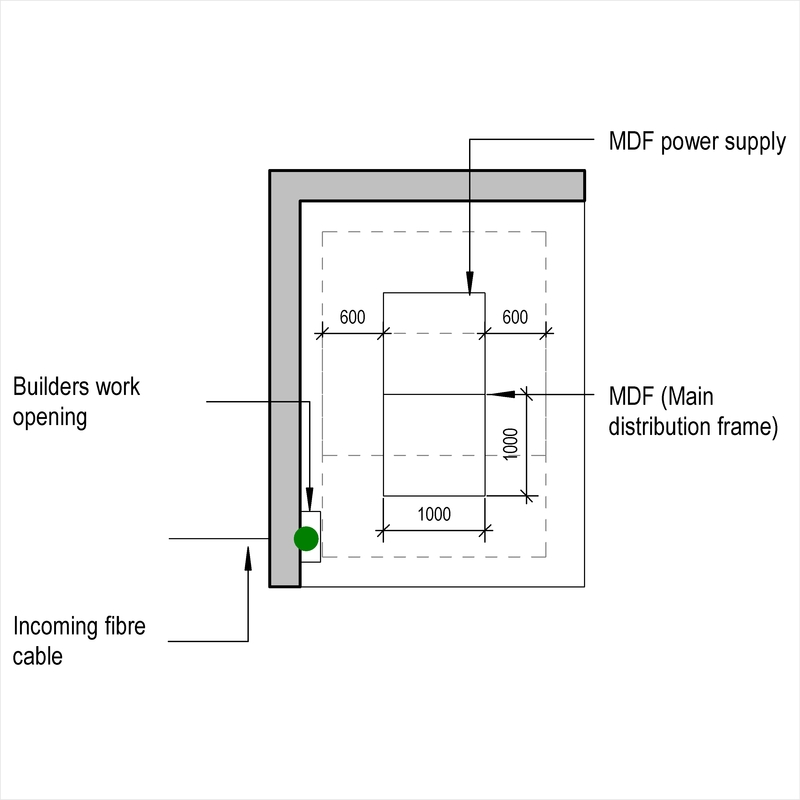 Cabling hierarchy - Consolidation point cabling Products such as Optical fibre patch cords. 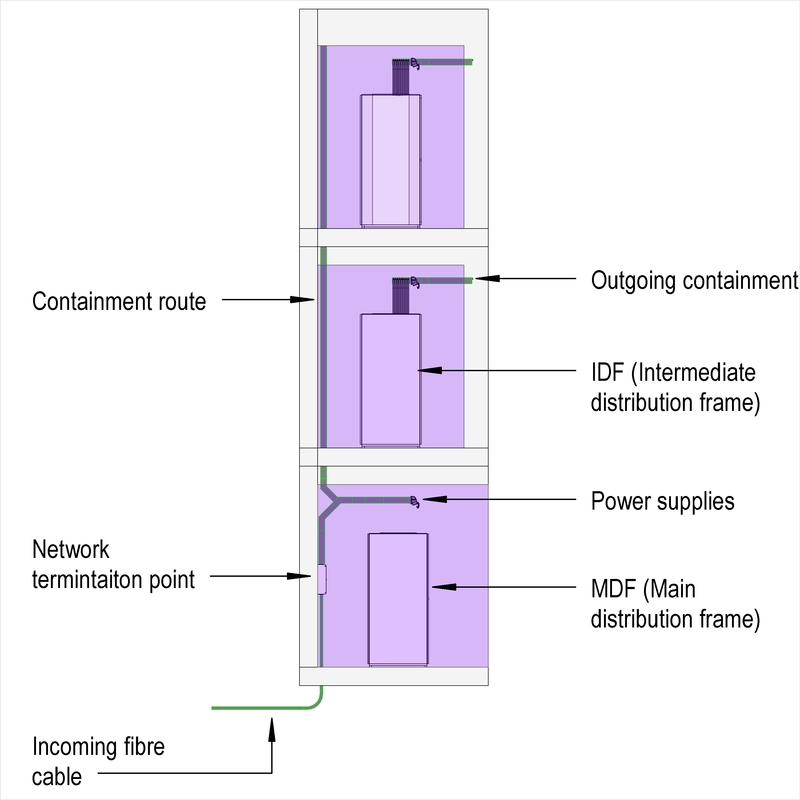 Cabling hierarchy - Telecommunications outlets (TO) Products such as Balanced twisted-pair cable outlet plates. 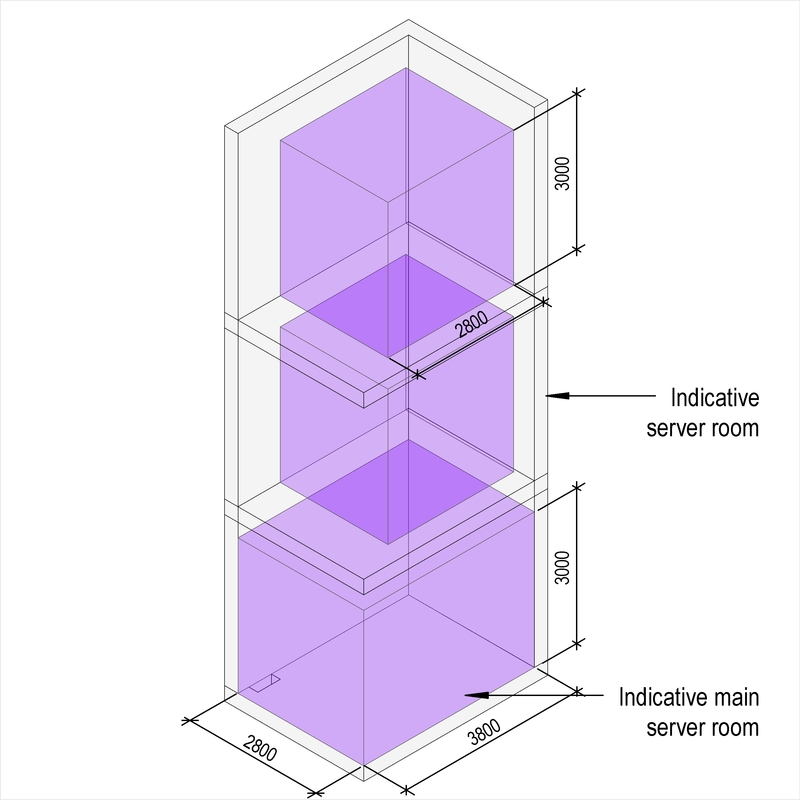 Cabling hierarchy - Work area cabling Products such as Coaxial cables. Rewireable installation The Rewireable installation of the Data distribution systems. 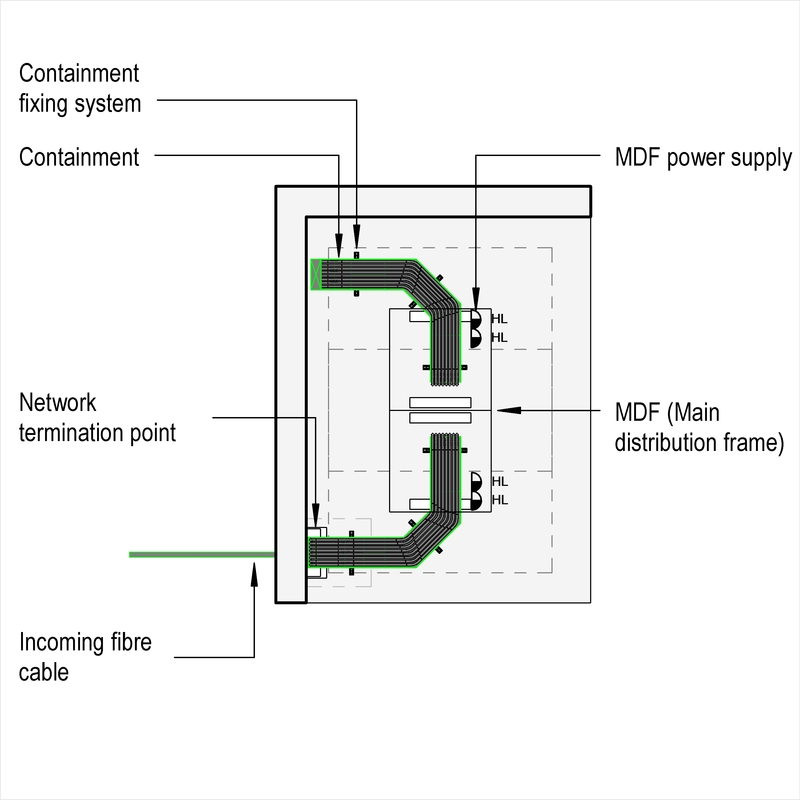 Concealed installation The Concealed installation of the Data distribution systems. System accessories Products such as Telecommunications equipment and outlets labels.